Rockets roar into space—bearing roughly half the world's commercial satellites—from the same South American coastal rainforest where convicts once did time on infamous Devil's Island. 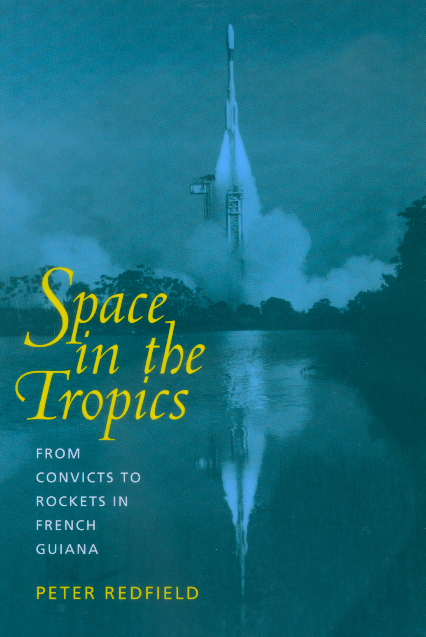 What makes Space in the Tropics enthralling is anthropologist Peter Redfield's ability to draw from these two disparate European projects in French Guiana a gleaming web of ideas about the intersections of nature and culture. In comparing the Franco-European Ariane rocket program with the earlier penal experiment, Redfield connects the myth of Robinson Crusoe, nineteenth-century prison reform, the Dreyfus Affair, tropical medicine, postwar exploration of outer space, satellite technology, development, and ecotourism with a focus on place, and the incorporation of this particular place into greater extended systems. Examining the wider context of the Ariane program, he argues that technology and nature must be understood within a greater ecology of displacement and makes a case for the importance of margins in understanding the trajectories of modern life. Peter Redfield is Professor of Anthropology at the University of North Carolina. He is the author of Life in Crisis: The Ethical Journey of Doctors without Borders.